After yet another brilliant Ryder Cup which Europe won once again, we move onto the Alfred Dunhill Links Championship where Ryder Cup stars, Rory McIlroy, Martin Kaymer, Victor Dubuisson and Stephen Gallacher all feature. This event has been won by some big names over the years, Padraig Harrington has won this event on two occasions in 2002 and 2006. Lee Westwood, Colin Montgomerie and Martin Kaymer have also won the Alfred Dunhill Links Championship in the past and last years winner was David Howell who shot 23 under to win the title. This weeks European Tour event is played around three different links golf courses, Carnoustie, Kingsbarns and St.Andrews which is used again for the final round of the competition. Arguably the toughest of the three courses is Carnoustie which is a 7412 yard par 72. Kingsbarns and St.Andrews can also be difficult if the wind gets up, both are par 72’s that play 7150 yards and 7279 yards long. This week i’ll be looking to back players with a good record around links courses as it’s a very specialist form of golf where the wind can get up and cause all sorts of problems. It comes as no surprise to anybody that Rory McIlroy is the 5.5 favourite to win this week after his brilliant performance against Rickie Fowler on Sunday in the Ryder Cup. Rory’s teammate Martin Kaymer is second in the betting at 16/1 largely because he won this event in 2010 after winning the Ryder Cup at Celtic Manor. A final mention goes to Charl Schwartzel who makes a rare appearance on the European Tour, the South African has a good record in this event, he finished 7th last year and 9th in 2011, he also has three other top 25 finishes, Schwartzel can be backed at 25/1. Mikko Ilonen – Mikko is having yet another brilliant season and is establishing himself as one of the best players on the European Tour, he currently sits 16th in the Race to Dubai. Ilonen has four wins on the European Tour including the Irish Open which he won in June, this suggests he is more than capable of closing out events. In August Ilonen finished 7th in the US PGA Championship which suggests what a quality player he is and in his last event the KLM Open he finished in 11th position which shows that he is playing well. The KLM Open is also played on a links style course therefore this result suggests that Mikko can perform well on links golf courses. To add weight to that argument Ilonen also finished 9th in the Open Championship in 2001 and 16th in 2006, he also finished 16th in the Scottish Open just a couple of months ago. Ilonen’s record in this event is decent but not spectacular… He has made his last seven cuts in the Alfred Dunhill Links Championship recording three top thirty finishes in that period of time which shows he can perform relatively well in this event. Marc Warren – The Scotsman is having a great season and recently recorded his third win on the European Tour winning the Made In Denmark in August. Marc is now ranked 18th in the Race to Dubai and is performing like one of the best players on the European Tour. Warren comes into this week in good form after he finished 4th just a few weeks ago in the Wales Open, he was just two shots behind the winner Joost Luiten. 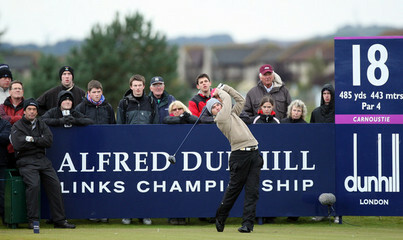 In this event Warren has made his last three cuts and recorded a 5th place finish in 2011, he has also recorded top twenty finishes in 2008 and 2009. This event features three different links golf courses therefore the ability to play well on links courses is vital and Warren is certainly capable of that. This year Warren has finished 3rd in the Scottish Open and 39th in the Open Championship, both events are played on links courses. Finally Marc also finished 12th in the KLM Open and 3rd once again in the Scottish Open in 2012 which once again shows he can perform well around links courses. Richie Ramsay – It’s hard to ignore Ramsay this week when you look at his recent form, I’m very surprised to see the Scotsman priced at 66/1, I was expecting 40/1. He’s a two time European Tour winner and more than capable of shooting low scores as he recently showed in the Italian Open and the Omega European Masters. Richie has finished inside the top twenty in each of his last four events including 4th, 8th and 9th place finishes. 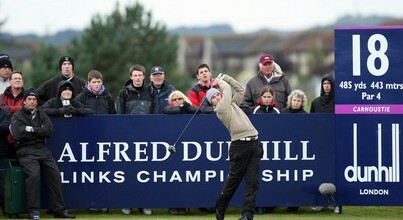 In 2009 Richie finished 4th in this event which suggests he can perform well around links courses and the three courses being used this week. He recently finished 9th in the KLM Open which is a links style course and Ramsay also finished 33rd in his event last year. Richie is a decent player from tee to green which is key this week, he’s ranked 25th on the European Tour this year in terms of greens in regulation hit %.